Bequests are one of the easiest and most significant ways you can enrich the lives of students at the University of Houston. A will should be a final message reflecting your personal life values; a way of leaving a lasting legacy by which others may remember you. Bequests can be made by preparing a new will or adding a codicil to your present will with the advice of your attorney or advisor. (Cash Bequest) the sum of ________ dollars ($_______). (Stock Bequest) _______ shares of stock of _______________ Corporation. (Percentage of Estate) ______percent (____%) of my estate. (Residuary Bequest) the remainder of my estate. I request this bequest be used by the University (or the School of _____________ or its successor) for the following purpose: _________________________________. If, at the time of my death, the Board of Regents determines that this use is not possible or is no longer useful, it may, at its discretion direct my gift toward a need that most closely relates to the original program or area. If you wish to restrict your bequest to a specific program or function, contact Andrea Olczak, Executive Director of Gift Planning, at 713-743-6313 to determine wording that will ensure its use according to your intentions. Charitable bequests are fully deductible for estate tax purposes. The In Tempore Legacy Society honors our alumni and friends who affirm their commitment to University of Houston System through a planned gift. 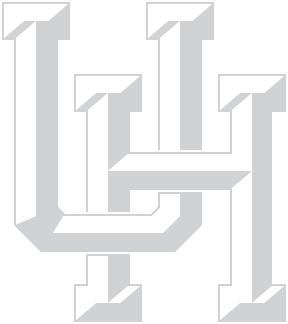 For more information about membership in The In Tempore Legacy Society, assistance in making a planned gift to benefit UH or questions on named endowments, please call or email Andrea Olczak at 713-743-6313 or email giftplanning@uh.edu.